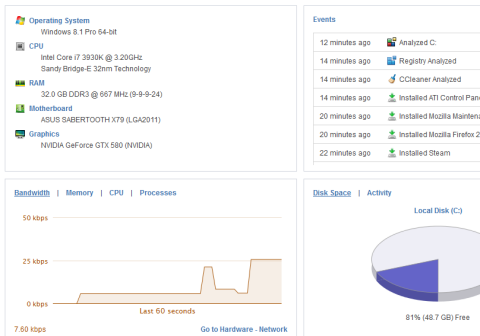 Agomo's summary tab gives you an overview of your computer - showing key stats like CPU usage, disk space and recent events. From here, you can delve into the Hardware section which reports on over 100 essential stats from your PC – CPU, RAM, motherboard, drives, peripherals, network and more. So you can see exactly what's happening inside your computers and resolve problems right away. Agomo brings you the power of our award-winning CCleaner and Defraggler technologies and combines them into one tool. You can run CCleaner and Defraggler manually, schedule a clean or defrag whenever you want so your PCs are always running Fast! 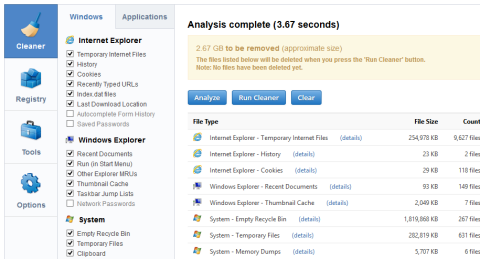 All the features of the desktop version of CCleaner are available! Along with all the features of Defraggler! Computer booting slowly? Save time by disabling startup items. Need to install software? You can do this remotely from Agomo too. You can pick from our expanding list of popular software, or install from Dropbox to deploy quickly and easily to all your computers. This only scratches the surface of what Agomo can do! We haven't even shown you the support for multiple computers, monitoring, events, alerts, reporting, etc.